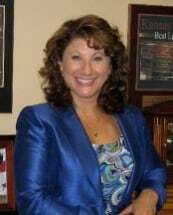 Andrea Welch is the President of the Eastern Jackson County Bar Association (board member since 2001, member since 1999). She is also the President of the Missouri Municipal Prosecutors Association (member since 2000). Andrea has been a member of the Kansas City Metropolitan Bar Association Municipal Court Committee since 1999 and a member of the Missouri Criminal Defense Attorneys since 2001. She has been a Sugar Creek Optimist Club member since 2007 and on the Sugar Creek Parks and Recreation Committee since 2005.